Thanks Dan for revisiting this valuable tool. To add some 'science' to the 'art' of predicting leadership potential, I recommend the WorkPlace Big Five Profile 4.0 from Centacs. Based on one's personality infrastructure of 28 different traits including response to workplace stress, the Profile can predict one's natural potential to be successful in up to 54 different competency areas. One can still be successful in a competency area even if they aren't natural wired that way, however it will take more energy and focus and the person may experience job burn out faster. If an organization has a leadership competency model of 8-12 competencies they can select those competencies from the 54 choices in the Profile to assess potential. I don't recommend this level of insight for every talent review meeting however for identifying emerging leaders the extra insight is worth it. We will never take intuition and 'art' totally out of the process. The WorkPlace Big Five Profile adds some objective value to the often subjective and sometimes emotional process of predicting leadership potential. Good to hear from another WNYer! Thanks, I agree, there are some assessments out there that can help take some of the subjectivity out of predicting potential, including the Big 5, FIRO B, and Hogan assessments. 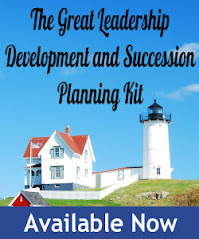 This 9 box matrix is a must-do for any senior executive serious about management development and succession planning. I have used it successfully and extensively for over a decade. One of the most overlooked boxes is 1C. Exceptionally high performers with minimal future potential. They are great contributors but many times can block younger executives from getting the chance to grow and develop. Keep up the good work promoting this approach. Dan: I just learned about the 9-box model from an HR colleague today and found your blog in a web search - just as you surmised. Looks like a great tool that can be used to facilitate developmental planning. I agree on the need to use a competency description/criteria as a baseline. Otherwise, people will be assigned to boxes on a purely subjective basis. Thank you for sharing and for the step-by-step process you outlined. Thanks, I'm glad you found Great Leadership and hope you'll return. Please include a section on the misuse of the nine box. For instance, why is it bad practice to force managers to include a percentage of workers in the 780 section? Hi Dan! Thanks for the update. I found the steps very practical! Our company is presently forming a Talent Pool and have decided to use the Nine Box Model as one of the tools. I just have one question. After asking the managers to rate their subordinates through the 9box, would you recommend asking employees to use the 9box too and nominate who they perceive to be "potentials" among their peers or even non-direct superiors? Thank you so much, Dan. Your blog has been very helpful to me. keep writing and blessing others through your work! I've not heard of the practice of employee's nominating peers using the 9 box, but it's an interesting idea. I've not done it, but I'd be surprised if someone else hasn't tried it. Thanks for your suggestion. I'll consider wiring a post on 9 box abuse. Dan, thank you for sharing your ideas. This has been most helpful. 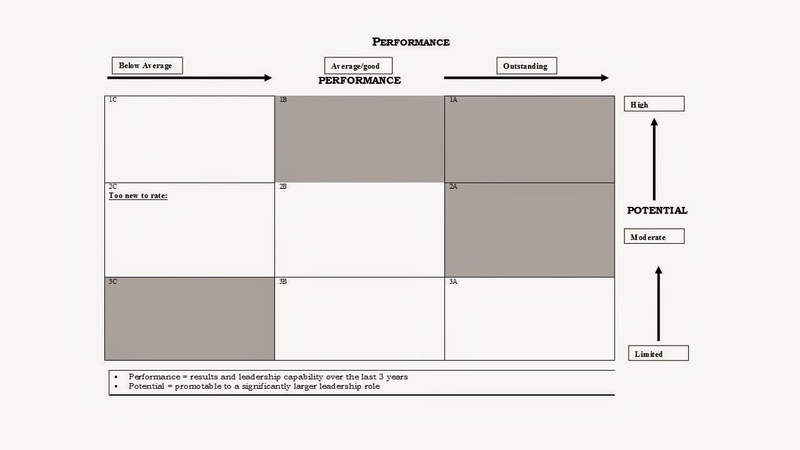 Rather than using the 9 Block process to only identify Leadership/Succession planning, have you ever seen this model used to rate employee annual performance reviews? Yes, I've heard of it being used for all kinds of things, including reviews, but that's not what it's designed for.